A touch of whimsy for your home. Color photos to make you confident during each phase of the process. Exclusive printed fusible interfacing is a full-size panel image of cut lines and sewing lines printed on fusible interfacing, designed by Sharyn. 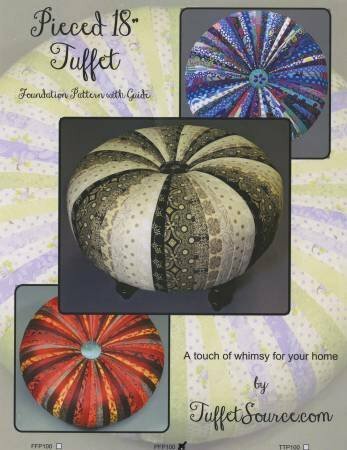 Included are two interfacing panels each containing four foundation patterns which are required to complete one tuffet.